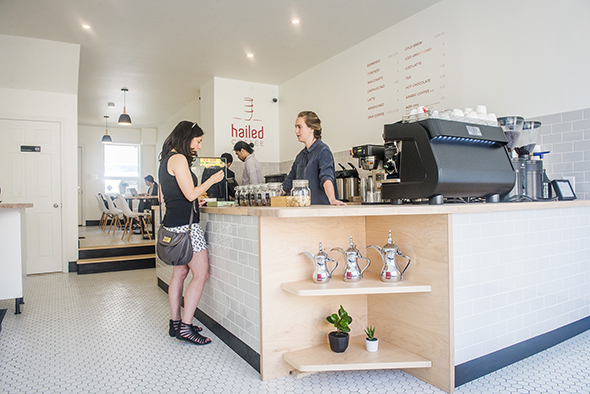 Hailed Coffee is a cafe with a nouveau twist on traditional Middle Eastern coffee, where Arabic coffee is served in handless small glasses and coffee is "hailed" with cardamom. Doors down from the beloved Saturday Dinette , Hailed is a welcome addition to Gerrard, a vibrant but mostly unchanging stretch on the border of East Chinatown and Leslieville. Owner Salim Bamakhrama, an architect by trade with a Masters from UCLA and UofT, pulls inspiration from Scandinavia, with freshly painted white walls, mid-century furniture and trendy maple countertops. Intentionally sticking out like a sky-scraping condo in an old borough, Hailed is self-consciously flashy in a way that boisterously catches attention. 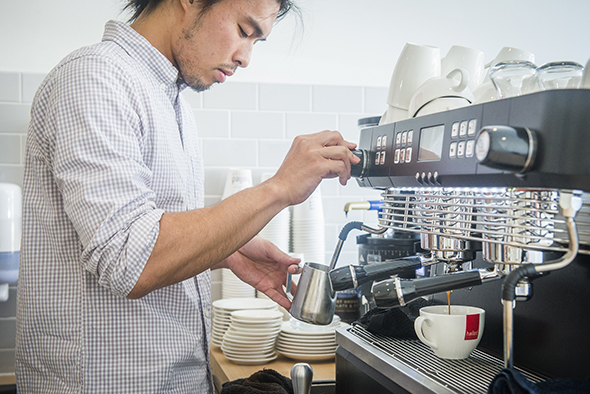 "We fuse Eastern cultures with Western cultures around coffee. 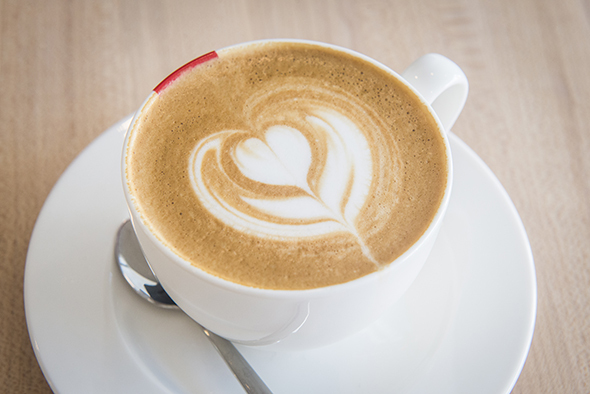 That's the common denominator: quality coffee and quality conversations," says Bamakhrama. 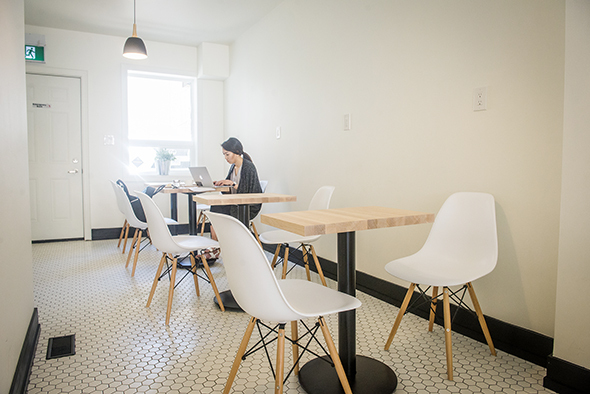 Complete with seating area for lingering freelancers and families en-route to Gerrard Square, Hailed is a cultural hub where guests are encouraged to slow down and participate in tradition ritual of coffee. 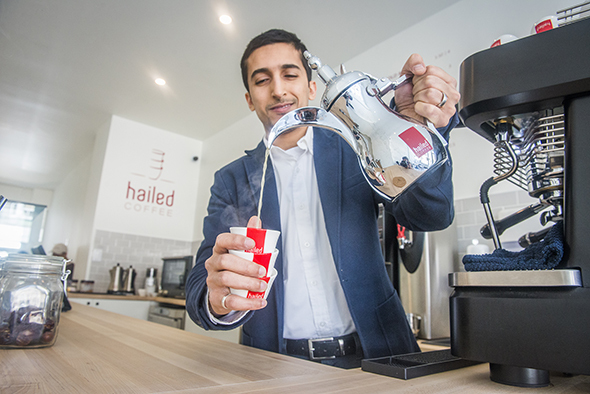 Salim insists on the "hailed" cappuccino ($4.00); a classic coffee made with light roast espresso, mixed with an in-house cardamom syrup and steamed milk. Unlike a typical heavy-weight coffee, the "hailed" coffee reigns supreme with extraordinary weightlessness. In Middle Eastern cultures, adding cardamom is a sign of gratitude - a pricier spice, with a unique taste. 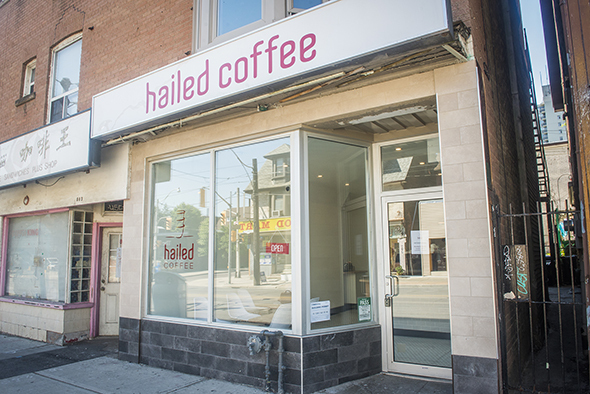 "We're one of the only coffee shops to serve Arabic coffee in Toronto. Commonly confused for Turkish coffee, Arabic coffee is roasted, ground, brewed and served differently. High-grade Yemeni or Ethiopian coffee beans are roasted to a golden colour with nutty undertones. The brewing method takes longer, up to 20 minutes. It is served in a pot with fenjans, small cups," says Bamakhrama. 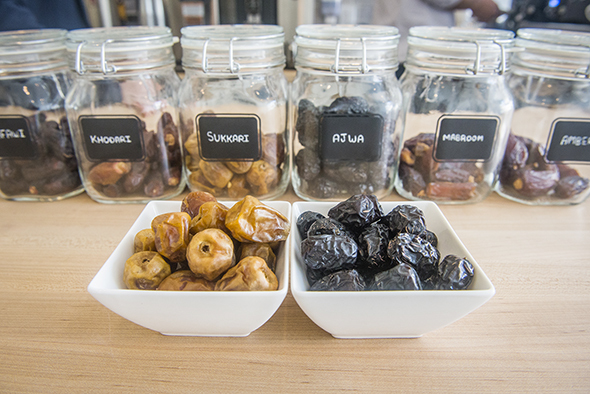 Along the counter, traditional sweets like dates ($0.50-$0.75) are on display, including Amber, Safawi, Sukkari, Ajwa, Khodari, and Mabroom (Salim's favourite). In Arabic coffee rituals, the date is slowly chewed while sipping on hot coffee. It's like eating a naturally-sweetened gummy bear, melting in hot coffee. Like Fahrenheit Coffee , Hailed has chosen to use a Dalla Corte ; a premium espresso machine that's harder to find in this city. Offering multi-roast coffee, with a classic Italian specialty blend from Rufino Roasters, there's a rotating selection of coffee to try. On the south side, there's a corresponding brewing station for Arabic coffee, with Dallahs (coffee pots), stove-top and spices like saffron and cloves. 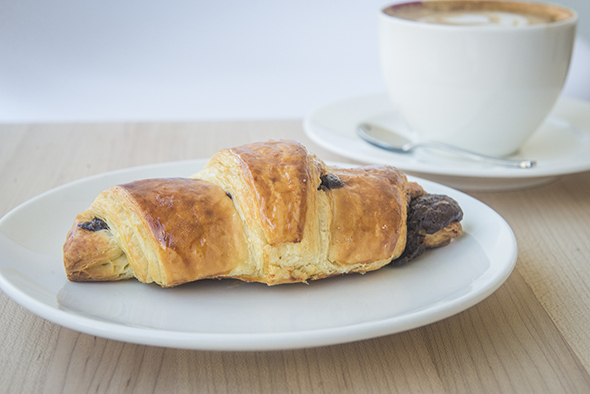 Serving fresh croissants from Delysees , east enders can indulge in a savoury selection with Roasted Pistachio ($4.95), Hazelnut ($3.95), Butter ($2.65) and Bechamel Gruyere ($2.95). >Still in its early days, the menu will continue to expand, as Bamakhrama hints at a "hailed" chocolate chip cookie (still in the works). For now, the community continues to buzz with the scent or Arabic aromas spicing up Gerrard Street East.